As innkeepers of Morehead Manor Bed and Breakfast, we are thankful to live in Durham, where Southern Living magazine calls it, “The Tastiest Town in the South.” In addition to our wonderful restaurants, the following favored food trucks can be spotted across various areas of the Bull City. Some have gone on to have a physical store in addition to their food truck. Local residents and new visitors all love their delicious and unique food! The American Meltdown Gourmet Melts food truck serves melts and grilled cheeses crafted from local bread and local eggs and cheeses. People can taste delicious creations like The Orchard, made with cheddar, sliced apples, rosemary, and ham. Kokyu BBQ is an acclaimed member of Durham’s well-known food truck scene. The graffiti-painted truck has been a frequent sight around Downtown Durham since it opened in 2010, selling slow-cooked meats and fresh produce. Kokyu’s Korean barbecue and other dishes (like duck fat chaat, kimchi dillas, and crispy pork gyoza) have made plenty of fans, including The New York Times, who praised the mobile purveyors in a write up. Only Burger began as the first food truck in Durham, and earned great reviews from notable sources like The New York Times. They became so popular that they opened a physical location in addition to their food truck. Their menu is a classic one built on burgers and fries, but specials include toppings like fried green tomatoes and fried eggs. Opening originally as a modified and pink-painted mini-school bus and adding a brick-and-mortar location in 2013, The Parlour serves handmade ice cream. They source their ingredients from local farmers whenever possible and often rotate their flavors to match what is in season. Sympathy for the Deli serves gourmet deli sandwiches made with locally sourced meats that are hand-cured, roasted, and smoked right here in Durham. Options include pastrami, turkey Reubens, and seasonal specials like a roasted beet sandwich. There are also Sympathy for the Deli’s signature side, pickles. They’re house-made, spicy, pickled sugar snap peas. They’re also recommended by Deep South magazine. Spring is here and the season’s warmer weather brings more people outside. Find Durham’s amazing food trucks located throughout the Bull City and taste why people come from all over to experience a variety of award-winning food. While on the topic of food, guests rave about our gourmet breakfasts that we serve each morning. 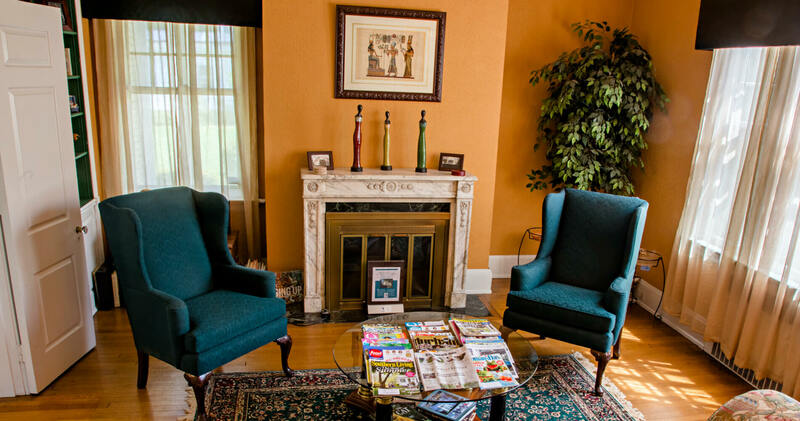 We welcome guests (new and returning) from all over the world to Morehead Manor Bed and Breakfast of Durham, North Carolina. This entry was posted in Uncategorized and tagged American Meltdown, BBQ, Durham Food Trucks, Gourmet breakfasts, innkeepers, Morehead Manor Bed and Breakfast, North Carolina, Only Burger, Spring, Sympathy for the Deli, Tastiest Town of the South, The Parlour by admin. Bookmark the permalink.